Shopping for beauty products is tough. So many colors. So many brands. So many skin conditions. So many salespeople. So many recommendations. But I’m here to make one facet of this process easier for you. 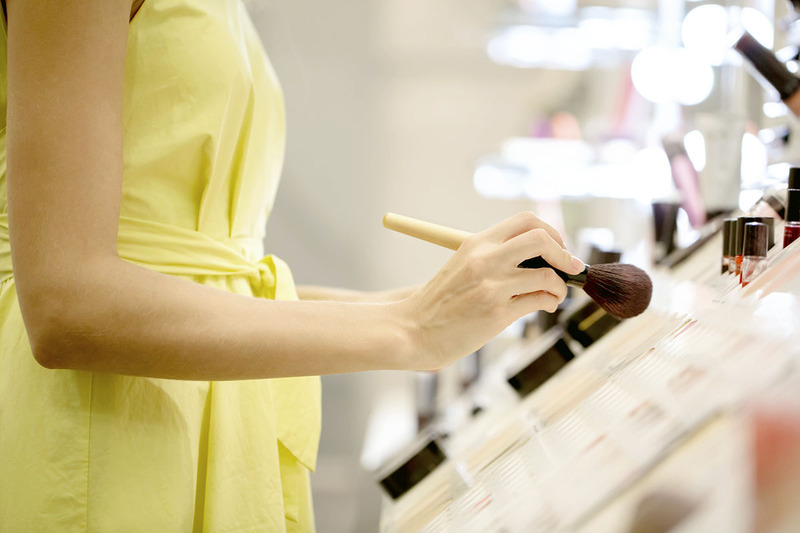 Here’s how to save some money every single time you shop at Ulta Beauty. Points. You’ll earn points on specific purchases. For context, 100 points (or $100 spent) equates to $3 off. You’ll also receive emails with the latest sales and deals. Get more details from Ulta’s website. Because you read The Penny Hoarder, you might have heard of Swagbucks. It’s a site that’ll pay you to take surveys, watch TV and shop online. It can also help you earn cash back on Ulta purchases. If you aren’t already a Swagbucks member, you can get $5 just for signing up. Once you’re in, shop Ulta through the platform. That way you’ll earn two Swagbucks (SBs) per dollar you spend. You can exchange SBs for gift cards. For context, 2500 SBs equate to a $25 PayPal gift card, good for all your online shopping pleasures. Bonus: Here’s an example of how you can actually get paid to shop through Swagbucks. You might think of Ibotta as a grocery rebate app, but it’s rapidly expanding to feature more retailers — including Ulta. There aren’t a ton of cash-back offers yet, but you can earn $3 back on Nubian Heritage bath bombs and $2 back on Eva NYC Clean It Up shampoo or conditioner. Keep an eye on the app because offers are constantly added. Plus, when you redeem your first purchase, you’ll get a free $10 bonus. Find a coupon for your favorite Neutrogena product in the Sunday paper? Ulta will let you apply that to your in-store purchase, according to Krazy Koupon Lady. But don’t worry about fishing through Sunday’s paper. You can find weekly coupon stashes through an app called Retale. Here, you don’t have to worry about clipping or organizing or remembering those suckers. Plus, you can add coupons to your rewards card that’ll be applied at checkout. Peruse Ulta’s “Free Gifts With Purchase” section to see if any samplers are available. This is a great way to try new products — for free. Right now, for example, you can get a free 12-piece gift with any $19.50 Ulta Beauty collection make-up, brush, beauty tool or skincare purchase. Or get a free BareMinerals lipstick with a BareMinerals purchase of $40. Also, never forget to ask for freebies at the checkout counter when you shop in store! If you don’t get the Ulta mailer (also great deals in there), just scroll through its “Buy More Save More” page online. For example, get two Paul Mitchell Salon Professional Haircare products now and snag a free one. And Ulta hand soaps are three for $10 right now. Find all the best deals on this page. Twice a year, Ulta has a “21 Days of Beauty” sale. Each week, a different selection of items are listed on sale. For example, last spring foundations, powders, face brushes and luxe bath products were only $6, according to PopSugar. Big brands were on sale, too, including Too Faced, Clarisonic, Urban Decay and It Cosmetics. Keep an eye on your email to find out when the next sale is happening. This goes for any purchase you make, but pay with your cash-back credit card to earn extra points for your Ulta purchases — so long as you responsibly pay off your balance each month. Carson Kohler (@CarsonKohler) is a junior writer at The Penny Hoarder. Tweet at her with your Ulta money-saving tips.